Claire can’t remember a time in her life when she loved anything more than music. Coming from a musical family, she was taking piano lessons at the age of five. It quickly became apparent that she much preferred to sing. Keeping up piano and viola lessons in the background, Claire began to focus mainly on her vocal training. At the age of fourteen Claire was so keen to pursue her musical education that she moved from her home in the country to boarding school in Perth. She has performed in a variety of musical settings, from school choirs, barbershop groups and orchestras, to professional choral groups, operas, musicals and solo performances. A highlight for Claire was traveling to Beijing with the Winthrop Singers to perform at the International Society for Music Education conference in 2010. She also has experience conducting choral ensembles at primary, secondary and tertiary levels. Claire’s love of performing is rivaled only by her passion for teaching. 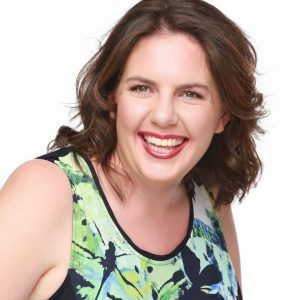 She holds a Bachelor of Music Education from the University of Western Australia and has taken courses in Orff Schulwerk, Kodaly and Dalcroze methodologies. Claire teaches students of all ages, and prides herself on tailoring her style of teaching to suit the needs of each individual. Claire teaches private and group singing classes, as well as private piano for beginners. Claire also teaches Braille music theory and reading.